Let’s say you are someone who is health conscious. You like your daily dose of antioxidant rich juices, green tea and what have you. However, you also like an occasional tipple or two as most doctors these days are waxing eloquent about the health benefits of alcohol consumed in moderation. What if I told you that you can combine the two and imbibe it in a chic and trendy setting? Does Pomegranate Green Tea, a cocktail made with Hendricks’s gin, fresh pomegranate, green tea syrup and orange bitters sound interesting? Believe me it is. And delicious too. You can find this and many more handcrafted cocktails at Westin hotels and resorts across the globe under Westin’s newest beverage program “Crafted at Westin”. The emphasis here is on using fresh, healthy and natural ingredients to make cocktails with a “local flavour”. At the Story Club and Lounge at The Westin Gurgaon this local flavour can be seen in the form of a cocktail called “Chai Experiments” made with Vodka infused with special Chai Masala and spices like cardamom, mace, cinnamon and blended with amaretto, grand marnier and angostura bitter. Whiskey Punch, one of the eight signature cocktails of Crafted by Westin beverage program. Monk’s Sapphire is another cocktail featuring India’s most popular rum Old Monk infused with cucumber to give it a refreshing flavour. 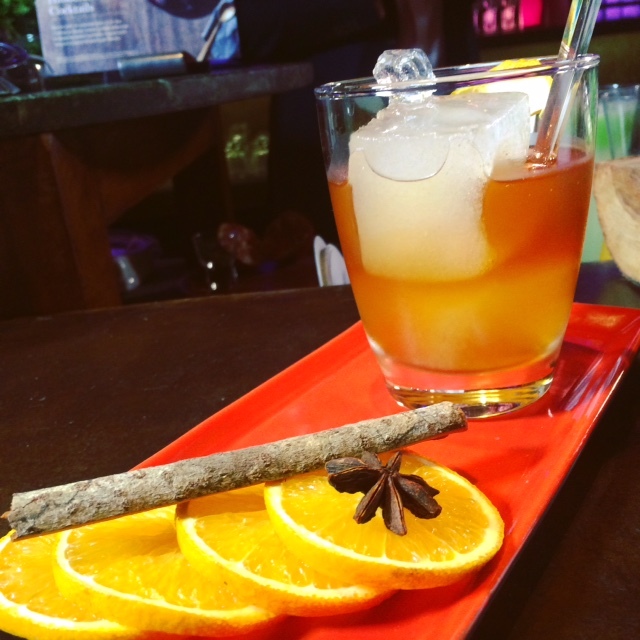 This is mixed with lemon juice, sugar syrup and a dash of rhubarb bitters making it quite unique. There is also a choice of alcohol free cocktails such as Granny Julep, Pine is Mine and Ambi, all imbued with natural flavors. 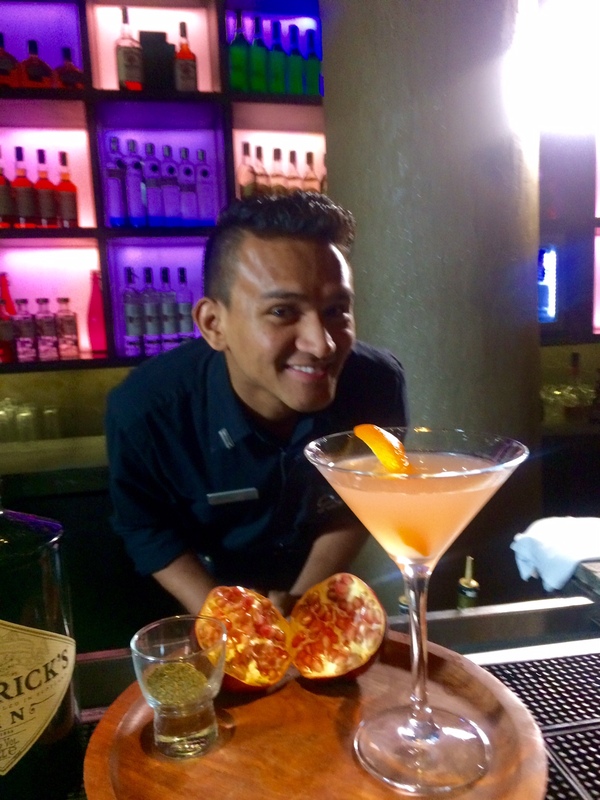 The person who is displaying his bartending skills and crafting these invigorating cocktails at The Westin Gurgaon is one of India’s top bartenders Jitender Singh, Winner of Diageo’s World Class 2016, who will be representing India at the final in Miami later this year. What stood out for me was the perfect balance between sweet, sour, bitter and salt in the cocktails made by Jitender or Jeetu as he is known as. He is clearly someone who has a mastery of the ratios and uses his knowledge and skill to making cocktails which are subtle and sophisticated. These are not your sickly sweet concoctions that you find at most bars. No overkill of sugar and artificial flavors here. He uses natural ingredients to churn out some exceptional and beguiling stuff. “Hand-Crafted” and “Artisanal” are not terms which are bandied around for effect in the case of the latest drinks menu at The Westin Hotels worldwide. Here cocktails get a healthy make-over and you can happily imbibe these without feeling guilty. Even if you a purist who likes to stick to the classics, you will love these.